The 'App Any Website' service is provided by APPPPR.COM on behalf of Yeo Vale Internet Ltd, Registered in England #05372918 with Registered Office at Hendford Manor, Hendford, Yeovil. APPPPR.COM is dedicated to the business of creating, supporting and maintaining Apps for any business or other organisation. UK Value Added Tax Registration Number: 8615186 17. 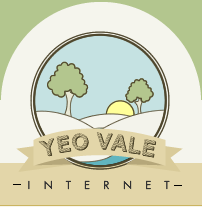 The postal address for Yeo Vale Internet Ltd is 6e Firside Road, Corfe Mullen, Poole, BH21 3LS, UK. The Telephone Number for sales or support: 0800 014 8534 (UK Freephone) or +44 1202 280852 (International). App Your Website today! Click here to go to STEP ONE. Email: appppr.com@yeovaleinternet.co.uk, or you can use the form below to SEND A MESSAGE.